FOR A TOTAL DISCOUNT OF PHP 1,000! Get Php 500 OFF on Review Fee! ENROLL NOW and reserve your slot for as low as PHP 500! Enhance your English communication skills with JROOZ! 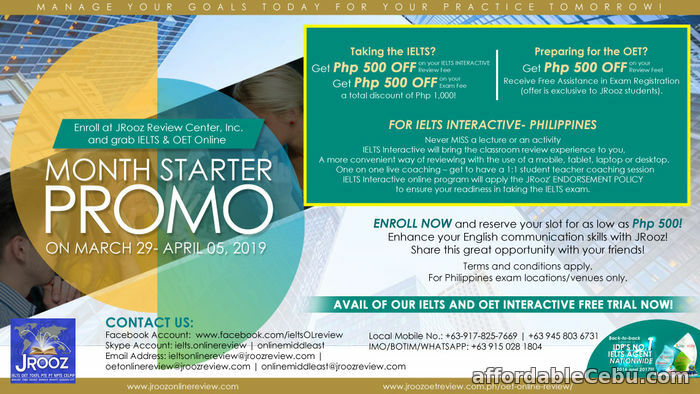 Avail of our IELTS AND OET FREE TRIAL FREE TRIAL now!